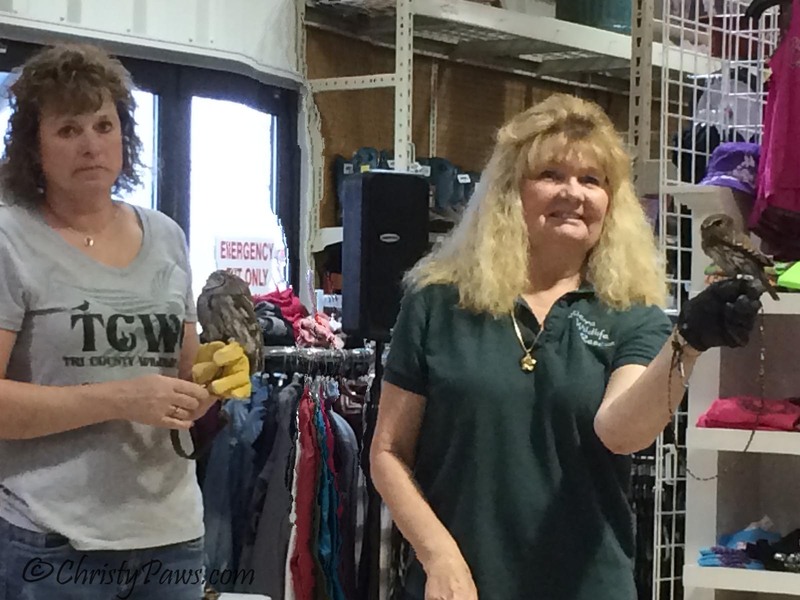 Cat without a Cause - Will it be Tri County Wildlife Care? Mom says I missed seeing some fabulous birds on Friday night. 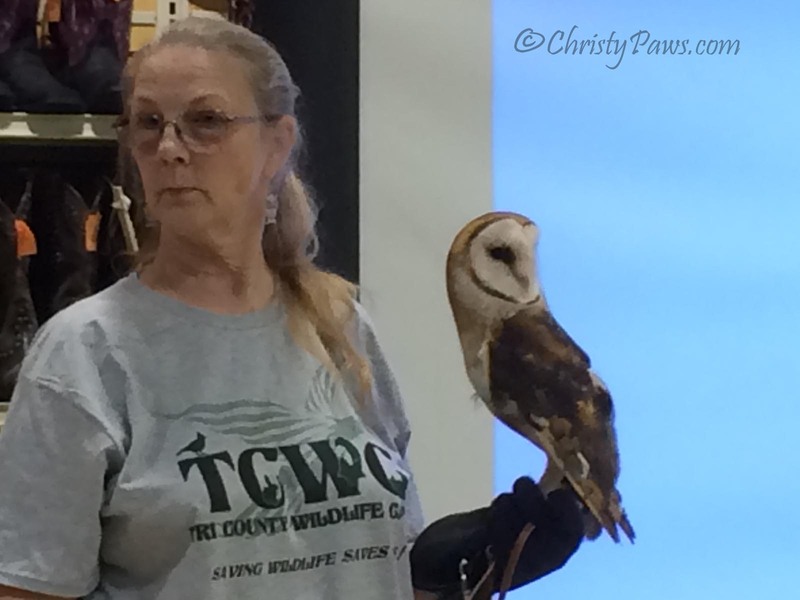 She went to a presentation put on by Tri County Wildlife Care (TCWC) to see what volunteer opportunities are available in our area. You see, I used to be an Advo-Cat for the rescue that saved my life, but when we moved here, mom and I knew we would need to find a new cause to support. Some of the people involved with TCWC are also part of A-Pal, the local domestic animal rescue. In fact, they have a joint website that you can check out here. TCWC has been helping wildlife in Amador, Calaveras and eastern San Joaquin counties since 1995. As part of their mission, through their “Saving Wildlife Saves Us” program, they incorporate non-releasable animals in presentations to impress upon viewers the importance of living in harmony with nature and wildlife. For the presentation on Friday night, they brought five owls and two hawks. You can learn more about some of these education ambassadors here. Mom didn’t think she wanted to be involved anymore in hands-on rehabilitation, rather more with PR and fundraising, but seeing these majestic creatures brought back a lot of memories for her. She has experience in many areas of wildlife rehabilitation and education. 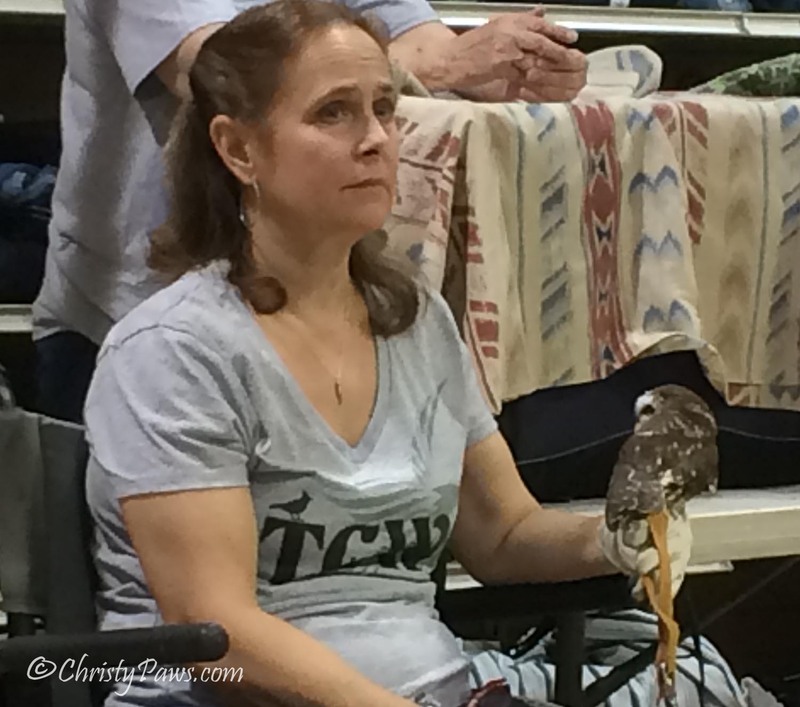 Mom has been a licensed falconer and USDA licensed animal exhibitor and used to do these kinds of educational presentations in addition to lots of other things. For some reason, mom didn’t think ahead of time about taking photos at the presentation so she was really unprepared. Not only did she not take her good camera, but her phone battery was almost dead so she couldn’t photograph the hawks! 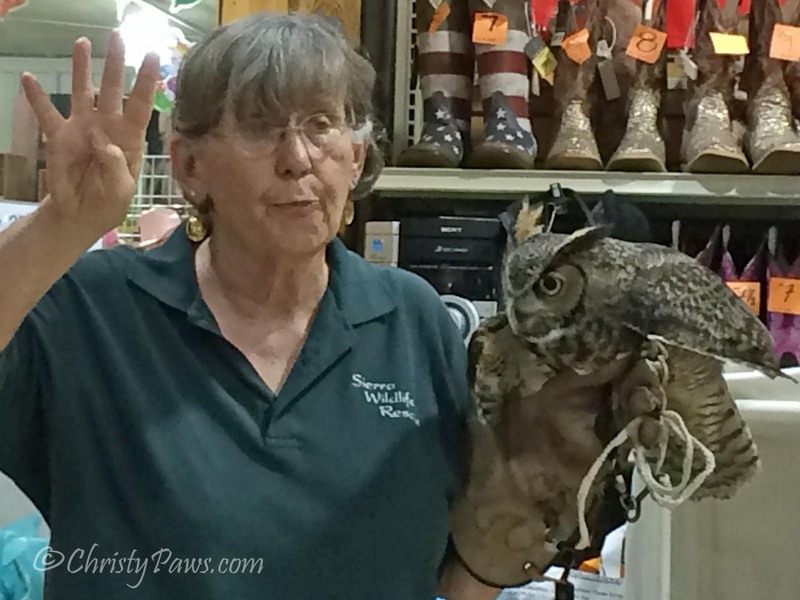 Here is a video of some of the owls we saw from a television segment. Even though mom is very familiar with wildlife rehabilitation requirements and operations (she volunteered for many years with the Wetlands and Wildlife Care Center in Huntington Beach, CA), she will be attending some additional classes to learn more about what TCWC does and how we can best help them. She’ll also be learning more about A-Pal which I’ll tell you about in a later post. Maybe we’ll work with both organizations! Wow Dat’s pawsum Christy. Sounds like lots of fun. I have thought about wildlife rescue here too..but i have such a sad time with bad outcomes..having been a foster to kittens and rescuer for many years it took a toll..nightmares etc that would not go. I will go back to it though i know. My human and I think wildlife rehab is an awesome cause! That is so excellent! Yous Mommy sound like somebody my Mommy would LOVES to knows better! mowzers, a certified licensed falconer? WAY coolio!! We’re with you – our mom is sooooo busy at her day job she’s limited to social media support and training for her 2 shelters these days! de food serviss gurl says… total lee awesum oh yur mom ta due thiz !!! How cool! We wish there were more wildlife rehabilitators in our area. We have one lady on the island that does it. Mee-you those Owlss are berry cute an thee Great Horned Owl iss handsum! Mee has seen Falconss an hawkss when mee lived on thee farm an wee have 2 Peregriness an a HUGE Red tailed Hawk that comess here inn Winter….majestick burdss!